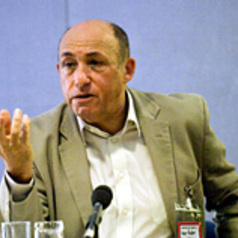 Ivor Gaber is Professor of Journalism at the University of Sussex and Emeritus Professor of Broadcast Journalism at Goldsmiths College University of London. He is also a broadcaster, writer, and media consultant. As an independent radio producer he makes and presents programmes for Radio 4 and the World Service. His main field of academic expertise is political communications. He has co-authored three books and numerous articles on this topic and is a frequent expert contributor to BBC 5Live, Radio 4, the World Service, BBC TV, ITN, Sky News and a host of foreign broadcasters. His journalistic career has included senior editorial positions at the BBC, ITN, Channel Four and Sky News. He was part of the launch team of Channel Four News, the televising of Parliament and Radio 5Live’s political coverage. a variety of international bodies and organisations including UK Government departments, the European Union, the Council of Europe and UNESCO .